"Ludicrous Mode" was most definitely engaged! A Qantas Boeing 737 is capable of producing 50,000 pounds of thrust and has a maximum speed of 528mph, which is 70 per cent the speed of sound. 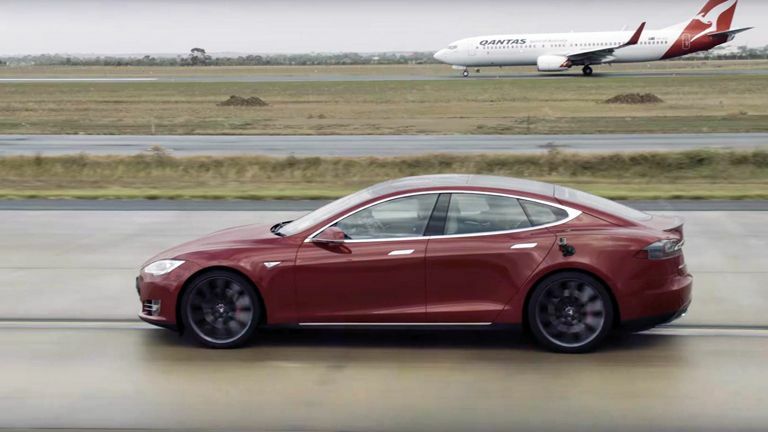 The Tesla Model S P90D, when slotted into "Ludicrous Mode", is capable of accelerating from 0 to 60mph in just 2.8 seconds and has a top speed of 155mph. So, errr, someone decided they should go head-to-head in drag race down a runway in Australia.